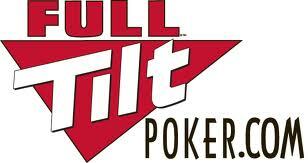 US Justice Department Accuses Full Tilt Poker of Cheating and Running a Ponzi Scam! Full Tilt Poker attorney Jeff Ifrah said that Full Tilt Poker should not be treated like an illegal investment scheme; instead its situation should be understood as a problem bank. The DoJ is yet to respond to this. Full Tilt Poker lawyers have responded to an amendment to a civil complaint lodged by the DoJ on Tuesday, accusing the owners and executive officers of Full Tilt Poker of cheating their players of $444 million. The online poker company is, in the meantime, fighting to regain its licenses, which were suspended pending investigation this June. The recent development has sparked fiery responses from online poker players, who have posted fiery comments on online poker forums and social networking sites. These players, who once held accounts at Full Tilt Poker, are still waiting for their money. The Ponzi scheme allegation is the latest in the list of allegations leveled against the fallen online poker giant by the US government, the others being bank fraud, illegal gambling, and money laundering. The government has also filed criminal charges against the company executives and owners. Mr. Bitar, for instance, has been charged with bank fraud and money laundering, but hasn’t been arrested yet because he does not live in the US. The government’s civil complaint of Tuesday was accompanied by a statement claiming that Full Tilt Poker is “not a legitimate poker company, but a global Ponzi scheme.” The term “Ponzi scheme, however, was not used in the civil complaint, which however explained the scheme. The government has alleged that Full Tilt Poker made its customers play with “phantom money,” which the giant company neither possessed nor collected, as a result of which it fell short of the cash it owed to its US players. The government also alleges that Full Tilt Poker directors and owners collected $444 million for themselves from April 2007 and April 2011. The government’s labeling of Full Tilt Poker’s troubles as a mismanaged “Ponzi scheme” makes its chances of renewing its license very slim. The latest allegation has also discouraged potential investors who might have provided over $300 million that the company requires for paying its poker players. Meanwhile, Full Tilt wants a 30-day extension from its license provider AGCC to build up its case to get back its suspended license. My take: well, this is one of those "any way you want to look at it" situations that can be bent to look like any way. I think the governments considering regulation should be more worried about protecting online poker players from the online poker cheats playing on the sites. Is Master Singapore Casino Cheat Really Dead...Or Just Hiding? 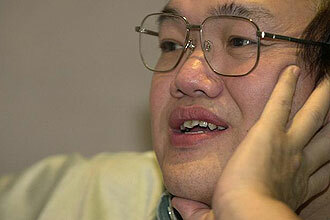 The authorities in the Philippines are still pursuing fugitive Singaporean lawyer Loo Choon Beng despite news reports of his death in China. They are investigating if Loo, who went by the alias Ben Lui and is wanted in connection with a $25 million casino scam there, is really dead. They are also continuing their search for assets registered in his name, and have kept him on the Interpol Purple Notice List. This requires countries which are members of Interpol, the international police body, to provide information on him should he be spotted.